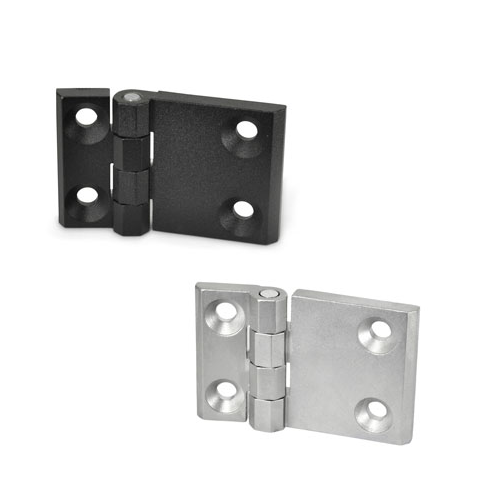 Hinges GN 237 with extended hinge wings are made in a compact and sturdy design. They are used when larger spacings are required for the attachment bore holes. Elesa+Ganter offers wide range of Standard Machine Elements.Our Product range is comprised of:Operating,Machine, Indexing, Control & Levelling Elements, Clamping Knobs ≤vers,Handles,Magnets,Joints,Hinges,Clamps,Rotary Control,Castor wheel.